Not going to say much. Lets see if this posts! Looking forward to getting to know you and your White (ford) Mustang! WMR0001, We need to get this site more easily accessible for people that got to your homepage. 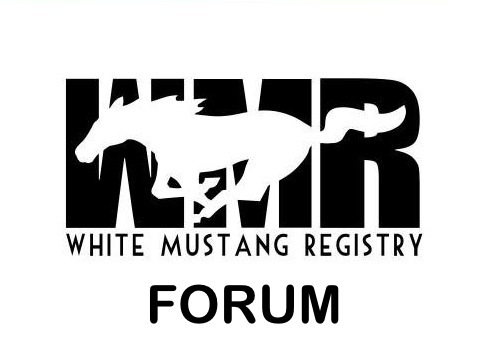 With over 500 registered WMR members, this site should be pretty active and can be! I know I had trouble even finding the forums.